Home › Energy-Efficient LED Lighting › Rathun Led Strip Lighting 10-Meter 32.8 Ft 5050 Rgb 300 Leds Flexible Color C..
Rathun Led Strip Lighting 10-Meter 32.8 Ft 5050 Rgb 300 Leds Flexible Color C..
High Quality : RaThun ORIGINAL 5050 SMD TYPE continuous 10 Meters/ roll.Using adhesive 3M backing, super viscosity,12V double layer copper on PCB board to keep the mixed colors more even. Rich Color : Not only RGB(Red,Green,Blue),16 multi-colored options, but also has DIY selection to create your own color,Led IR remote controller with over charging and short circuit protection, memory function. 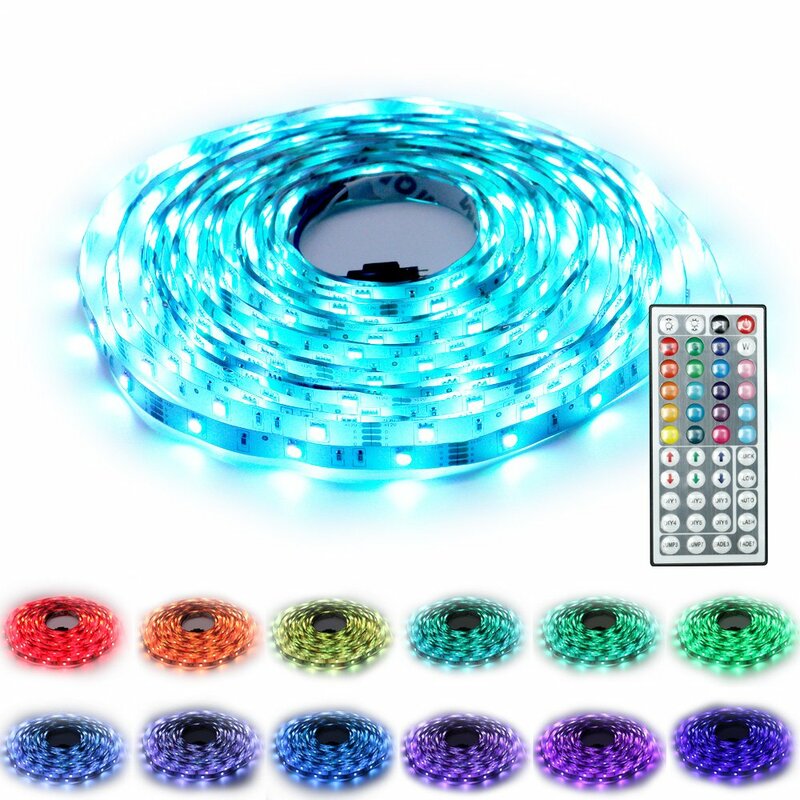 RGB Rope Light : Has 300 Non-waterproof 5050 RGB SMD Leds in 32.8ft with dimming and brightness controls, suitable for indoor lighting and decor. Easy Installation & Longevity :This led strips can be cut between every 3 leds, self-adhesive tape backing can be fit many dry flat surface. Reduce re-lamp frequency. Lifespan is over 50000 hrs. Full Kits : Including 10 meters continuous RGB LED Strip, 12V,5A Power Supply, RGB Control Box, Remotes controller.